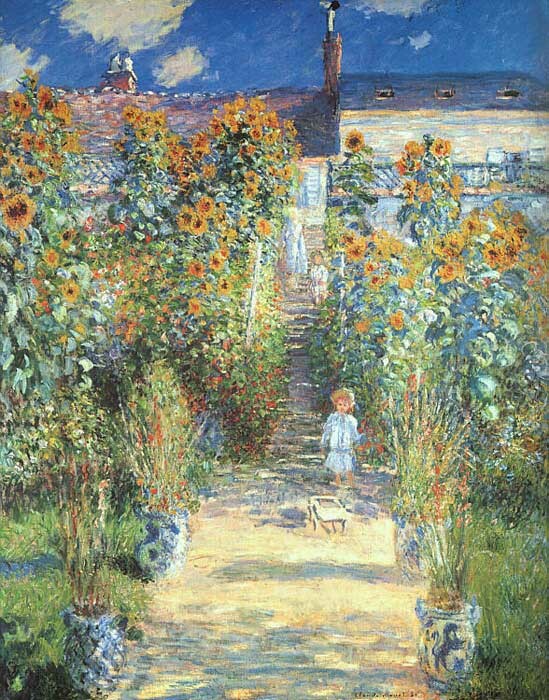 For Monet, the garden was a living still life that freed him to plumb the depths of his memory and emotions, rather than simply record his "impression" of a scene - The Artist's Garden at Vetheuil. SPECIAL NOTE : The painter will make the reproduction as close to the original oil painting as possible. If you want your painting to alter from this likeness, please email us and " The Artist's Garden at Vetheuil " will be reproduced according to your special requirements.